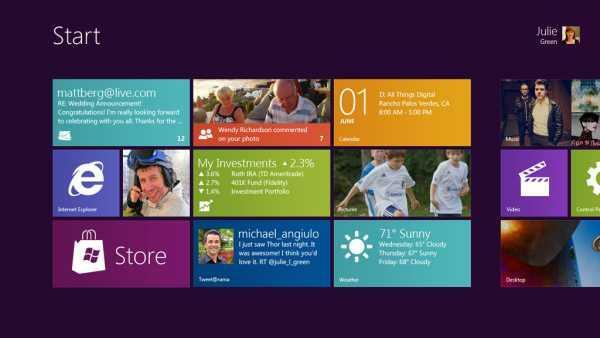 Microsoft has presented the Windows 8 user interface and displayed various devices on which the next version of Windows will run. The tile-based Start screen of Windows 8, which is strikingly similar to the Metro UI used in Windows Phones, is a complete revamp of the traditional Windows desktop design. It is arguably Microsoft's biggest Windows risk to date as it prepares for the shift to the post-PC era. Many questions about Windows 8 remained to be answered, but the main message Microsoft is pushing with Windows 8 is flexibility: across different microprocessors and devices like laptops, slates and tablets. But for enterprise IT and business users the transition to Windows 8 isn't likely to be a smooth one. Windows 8 will mostly become yet another version of Windows along with Windows 7 and resilient old Windows XP that companies will have to juggle to maintain and support. "Windows 8 complicates the enterprise story because it will be out next year and only 25 percent or so of organizations will be done with their Windows 7 migrations," says Aaron Suzuki, CEO of Prowess, an IT consulting and managed services company that provides enterprises with OS deployment and virtualization technologies. The biggest Windows 8 complications for enterprises, says Suzuki, will be hardware and application compatibility, along with companies simply not being ready for another OS after just investing time and money in Windows 7. On the hardware side, Microsoft has stated that Windows 8 will not require new hardware. But it's not clear how the fast and fluid touch-screen capabilities of Windows 8 will work on hardware designed for Windows 7 or, worse yet, Windows XP. Applications, says Suzuki, are an even thornier issue. "Application compatibility was one of the big barriers to Windows 7 enterprise upgrades and with Windows 8 it will have to be revisited again." Hypothetically, the corporate landscape in a year and half will consist of Windows XP and Windows 7 running on PCs, and newly available tablets running Windows 8 competing with iPads and Android-based tablets. "From an IT perspective, users will start clamoring for a Windows 8 tablets because they are cooler than the stock corporate Lenovo Thinkpad laptops," says Suzuki. "But that's just more devices for IT to manage and migrate to and there will be application compatibility problems." The solution to the application compatibility pickle, he says, involves virtualization and cloud services. "But the problem there is Windows 8 touch capabilities won't work as well in a Windows 7 virtual machine on a tablet. That's the trouble you run into when mashing up computing scenarios." This is where cloud services can save the day, Suzuki says. Cloud-enabled applications can eliminate app compatibility pains and all apps can be accessed across devices via the Web. Unfortunately, we are not there yet, he says. "Many internal business apps and industry-specific apps cannot be Web-enabled. They are very compute intensive and have to run locally on top of an OS and be compatible with that OS." And therein lies the burden for IT with any new OS, including Windows 8. They cannot afford to make every application available on every OS and device because it's simply too much work. The cloud and virtualization technologies will help IT with Windows 8 migrations when they decide to do them. But these technologies are not a panacea, says Suzuki. "The challenge still remains for IT: how do I manage everything one-to-many without lots of manual labor and without pushing all the effort to the user," he says. "Windows 8 will put that challenge to the test."